A Directive won’t regulate the online gaming market within the European Comminity, but it is certain that any “political” intervention towards this complex matter will aim to strenghten the cooperation between the Member States of the Union, with the target to fight the illegal market and protect the consumers and the most vulnerable subjects. However, it remains the need to maintain the right for every Country to individually regulate their own markets, respecting the principle of subsidiarity. This is the position of the Commission for the internal market reaffirmed in parliament and written by the German member of the European parliament Jurgen Creutzmann, who wrote the summary text of the Commission that follows the drafting of the Green Paper on the online gaming wanted by Michel Barnier, the Commissioner of the internal market. This resolution of Cruetzmann is a “no -legislative” one, and it “leaves completely open the work on the Green Paper”, as the proposer itself explains, “but it is indispensable to fix the position of the Commission about the matter, after having carefully examined all the issues with the aim to give a stimulus to the work of the European Parliament”. The resolution, passed practically unanimously in the Commission, therefore rejects the idea of an European Directive to regulate the online gambling, as was predictable and, to be honest, unavoitable. 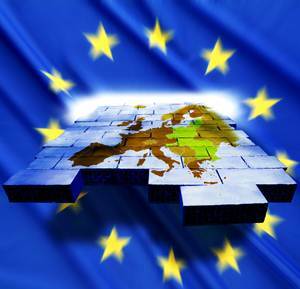 In an European context of total uncertainty and with the Euro on the borderline and that is risking to disappear, we could not surely think to a work table in the short term as concern the regulation of the online gaming and is not a case that also the simple formalization of the Green Paper has been delayed serveral times and also today is late in arriving. But the fact that the Commission for the Internal Market has discussed the matter and approved a paper that is able to express a “global” opinion, represents an important step in the discussion of the public gaming. For the online field, which plays a more and more important role in the international economic survey – estimated around 10% of the entire European gaming market – and with clear repercussions also on the social area. It seems that all the member states agree about the self-determination about gambling, with the consequent chance to maintain the governative monopolies and the prohibitions that they think are necessary (if justified). But the Commission specified that, because of the cross-border nature of the online gaming, there would be a clear value added to obtain through a coordinate community approach as regards specific fields, in particular the one of the fight against the illegal gaming and the addiction prevention. So the members of the European Parliament in the Cruetzmann resolution call for greater cooperation between the regulatory bodies to give them a mandate – under the coordination of the Commission – who is enough to develop common standards to adopt a common action against the suppliers of unauthorized games. In these terms, the internal market information system (imi) – the telematic network linking the public authorities in the European Union – could be a basis for a more effective cooperation, the resolution affirms. With the practic and direct chance to think about a “legally binding instrument” to force the banks, the credit card issuers and other participants in the payment system in the European Union, to block the transactions between their own customers and the gambling suppliers that belong to a “black-list”.